This was our first big trip together. 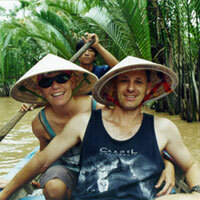 We spent a month traveling throughout the great country of Vietnam, following the coast from south to north. List of Hostels and a link to a booking form.